With regard to solid state characterisation, the primary risk for the patient is lack of control of the release of the compound in vivo, i.e. if the particle size changes, or if the properties/crystalline structure of the compound changes, it poses a potential risk to the patient. Thus, specification has to be set in order to have full control of the compound. The “level of risk” is dependent on the compound in question: For a highly soluble compound the effect of a slight change in particle size might be very limited, whereas it might have large impact for a poorly soluble drug. A change i bioavailability will lead to either lack of effect – or toxicological effects. However, in all cases it has to be evaluated. The ICH guidelines on test procedures and acceptance criteria for new drug substances and new drug products ICH6, further specifies the requirements with regard to particle sizes. 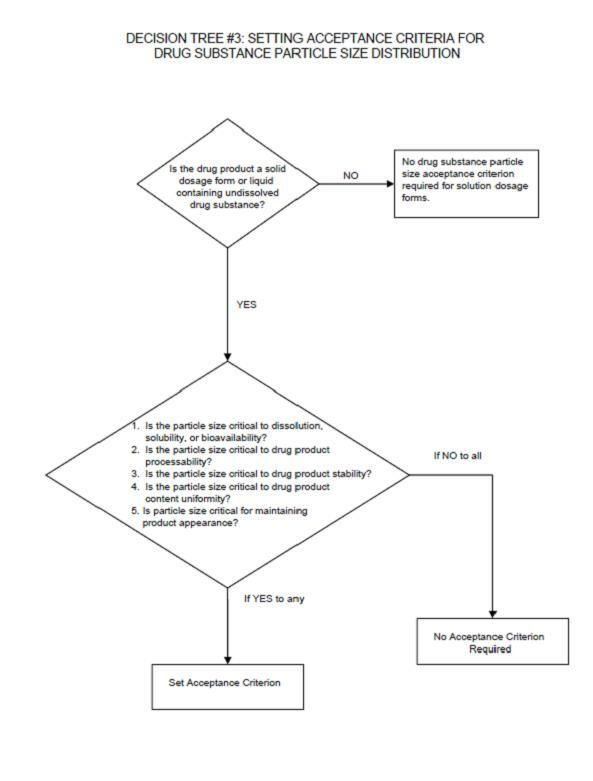 The Figure below shows the cases where particle size specification for the active substance has to be considered according to ICH. From this decision tree it is clear that particle characterisation is almost always essential in development. 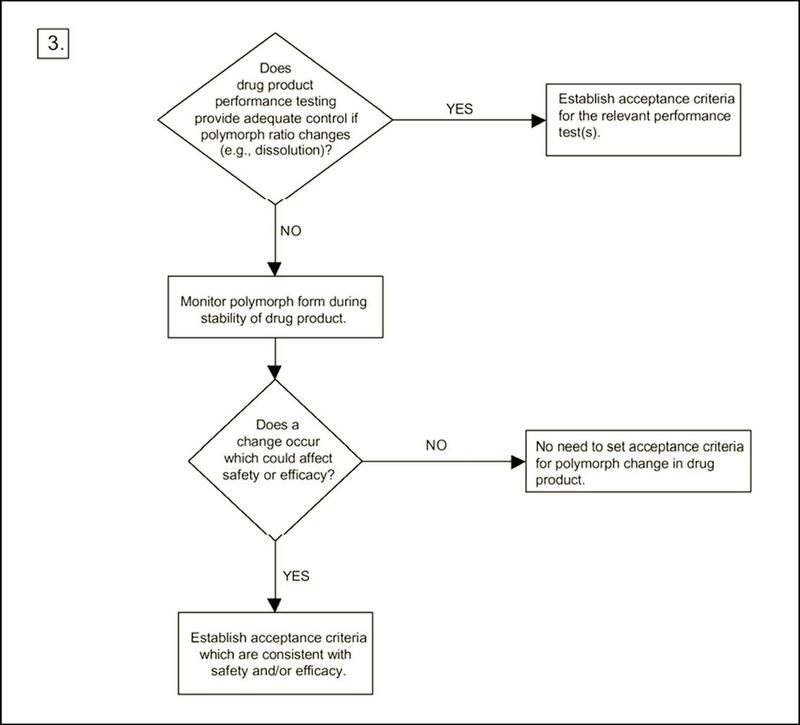 Regarding the need for doing polymorph screening, the ICH guideline provides three decision trees. The basis is a polymorph screening. However, it does not state how this screening should be performed, as it could be more or less extensive. In any case, one could argue that if the answer to the first question is “no” it is due to the fact that the screening has not been extensive enough! In decision tree 2 it is asked whether the forms have different properties. The answer to that is always “yes” – but it might be argued that the differences are insignificant with respect to properties. Decision tree 3 states the need for setting acceptance with regard to the polymorphic form if transformation could possibly affect safety.